What is the difference between A and B Series Grinders? "Up running," or the A Series feed grinder, provides multiple size reduction stages for materials and "down running," or B Series Hammer Mills, are most suitable for fibrous materials due to high concentration of shearing actions within the unit. The A series grinder uses perforated screens or grate bars for reducing soft to medium hard materials. 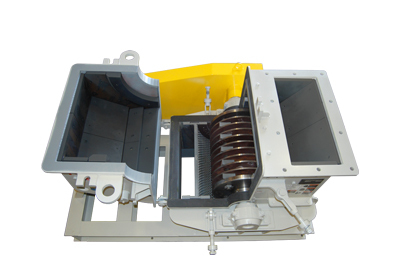 The material to be reduced determines the rotor construction of a Stedman Hammer Mill. The rotors used in the Type A hammer mills are adjustable to compensate for wear. The B series grinder utilizes specially designed heavy reversible hammers, working in conjunction with Stedman’s adjustable breaker plate enables the Hammer Mill to produce exceptionally uniform product with the lowest possible maintenance. If you're unsure which direction suits your material, contact Stedman to schedule your testing today! We will give you an “Up” or “Down” answer! The Stedman Testing & Toll Processing Facility is the place to test your material in our full size hammer mill. If it can be crushed, ground, pulverized or mixed, chances are we’ve done it. We have more than 10,000 test reports to help get you to the best solution quickly. To learn more about what to expect from testing, read this article that ran in POWDER BULK ENGINEERING magazine.